In this guide we’ll run through some top tips to optimise your site for the major search engines. We’ll highlight how making small tweaks to your content alone can make all the difference to your e-commerce SEO strategy. SEO stands for Search Engine Optimisation and it determines where (or if) your website appears when users hit that search button. E-commerce is absolutely booming with the most recent statistics showing worldwide online sales coming in at $2.356 billion. Competition is extremely fierce and businesses are optimising their sites accordingly so as to stand a chance. This makes properly calculated and executed SEO extremely important in the continued success of your e-commerce business. A proper e-commerce SEO strategy will get you ranking higher and, more importantly, found by new customers. Now, if you’re somewhat new to the world of SEO, don’t let the technicalities put you off. It’s quite easy to master at least the basics yourself, as you’ll see as we go on. Of course you can seek expert advice to get you started, but conducting online research with articles like this is an excellent way of teaching yourself the in’s and out’s of e-commerce-focused SEO and how to implement strategies that work. Before we get properly into our guide, there’s a topic we must briefly cover: white hat and black hat SEO tactics. White hat SEO is essentially how to rank higher while abiding by the rules and staying within a search engine’s terms of service. In other words, it’s the route you should follow to legitimately boost your site’s rankings. Wordstream created a very informative article on the importance of utilising white hat SEO techniques. Many of the points covered you may already be aware of. They include having high-quality, relevant and original content on your website, having a reasonable keyword density and making sure that your site is easy for users and search engines to navigate. Black hat SEO on the other hand is trying to achieve the same but by breaking the rules. While some black hat SEO practices used to be widespread, search engines these days will quickly catch up to you. They could remove you from the search results altogether if they catch you doing something dodgy to boost your rankings. Black hat SEO tactics are essentially the opposite of white hat ones, and include keyword stuffing, buying illicit backlinks (which we’ll cover below) and content automation, among others. If in doubt as to the do’s and don’t’s, it’s best to not take the risk. Google have created a pretty clear directory of what you should and shouldn’t do when trying to improve your ranking in the search results, so it’s definitely worth a read. Don’t allow the technical-sounding name of the title put you off! 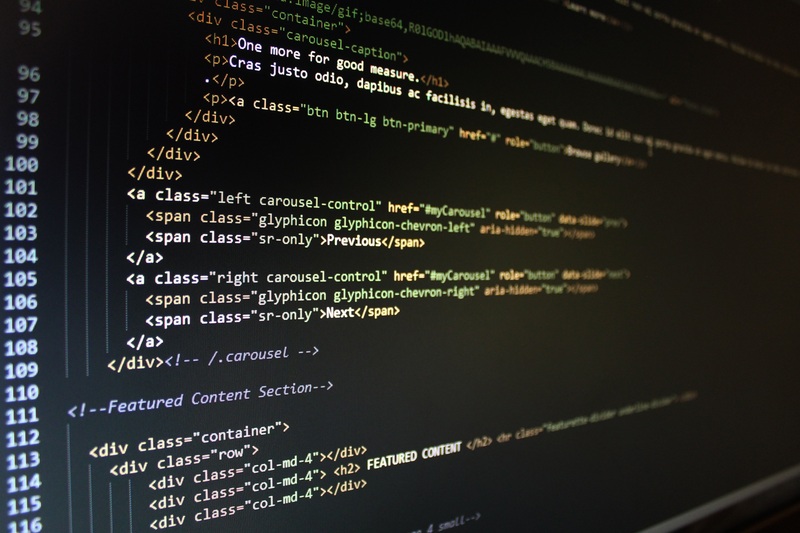 Meta tags and descriptions simply refer to sections of text in your website’s code that are important both in your e-commerce SEO strategy and improving the CTR (short for click through rate) to your site from the search results. It’s important to note that Google have openly said that meta tags are no longer considered as a direct factor in your site’s ranking. They are nonetheless still an important element of your SEO strategy. This is because meta tags are sections of text that are invisible to your users and customers, but that tell major search engines what your site is all about. The title tag is one of these sections. It’s the blue link to your site that appears in the search results. It’s called the “tagline” for WordPress users, but if you’re not then you can add the title tag directly into your site’s HTML in the <head> section. This may seem like a job for a techie, but it’s really quite straightforward! In terms of actually writing one, a title tag needs to be short, informative and appealing to entice searchers to click on a URL. The more concise and specific your title tag is, the easier users and search engines will know what your company does. This is especially important for e-commerce SEO to demonstrate exactly what your business is selling. For this reason it’s essential that you include your most important keyword in your title tag, preferably at the beginning to highlight its relevance. Like meta tags, meta descriptions are snippets of text that appear in your site’s HTML code which summarise a page’s content. They are that small section of text you see under the blue URL in the SERP (search engine results page). Again, while the major search engines have said that meta descriptions do not play a direct role in your site’s rankings, they do have a directly proportional influence on CTR. As such, getting this text right plays an important role in driving organic traffic to your site. Spending some time to create an appealing description with the keywords you want to be found for as well as a clear call-to-action will pay off by encouraging users to click on your link. Ideally each page (including product pages) of your website should have a unique meta description to clearly show what content the page contains. This will also trigger its appearance in the search results when users are searching for the relevant keywords. Take a look at this very straightforward guide on tips for creating and inserting meta tags and meta descriptions for more tips. Many websites start a blog with good intentions, sending out the first couple of articles on time and then waiting for the results to roll in. After this they either forget to regularly update the blog or don’t see instant results and so assume that no one is interested in what they have to say. The truth is your customers and users are interested, and this is why regular blog updates are a key element in your e-commerce SEO strategy. This is primarily because having a well-maintained blog enriches the overall content of your website and gives users a reason to regularly revisit it. Blog posts can be an excellent way of promoting new product lines and informing your audience of updates, but they are also an opportunity to establish yourself as an authority in your field by providing information that’s both useful and interesting to your audience. It’s this that will keep them coming back and have them bookmark your website to follow your articles. Now, it’s natural if your first couple of posts don’t seem to gain much traction, but remember that people first need to find you and then to pay attention. To find you, searchers will be using keywords. So, conducting proper keyword research before writing your articles is very important. This will allow you to understand what people are searching for and to tailor your blog content accordingly. However, remember not to overdo it and stuff your posts with keywords. This is a both a black hat tactic and doesn’t make for a natural or interesting reading. If you use WordPress to post your articles, try using the Yoast plugin which comes with a number of very useful features. These include a keyword density rating as well as a tool which shows the readability level of your article and its overall SEO rating. Conducting keyword research for your articles triggers a positive cycle: the right keywords mean the right people will find you, which means more site visitors, which, if everything else is right, most likely means more customers for your e-commerce business. As for getting users to pay attention, try scheduling posts to go out at least once if not twice a week. That way your readers know when to expect new posts and you get into the habit of keeping your blog regularly updated. Remember also to share new posts across your social media accounts to encourage people to read and share them. These shares mean more backlinks (we’ll cover those a bit later on). More backlinks in a search engine’s “eyes” means your site is more authoritative. This is really the bottom line of SEO. Finally, keep your content relevant, interesting, original, error-free and optimise it for readers, not search engines! This is the kind of content that users love and that search engines will, in turn, reward. This section directly leads on from the last, because keyword optimisation is arguably the most important factor in onpage optimisation (otherwise known as onpage SEO). 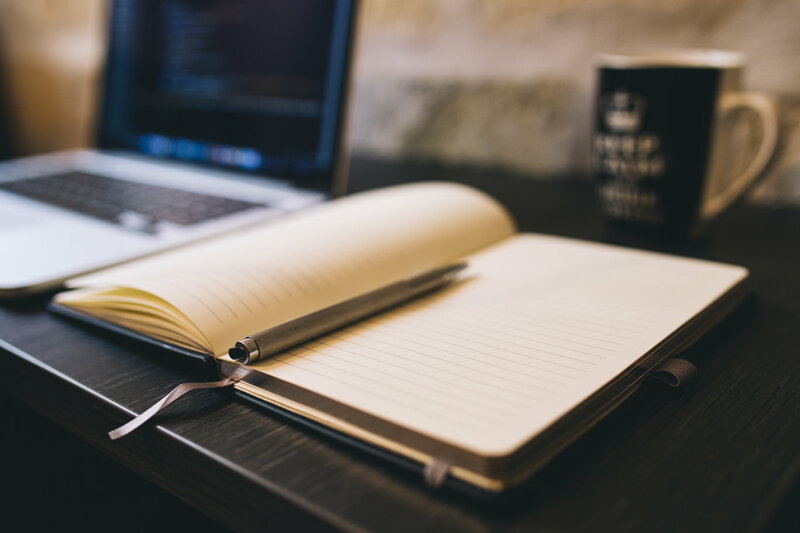 The content of each page on your website strongly dictates where your website appears in the search results (which is why a well-written blog is so important). To optimise a page means to make the content that’s on it searchable, logical, readable and relevant. Make these sections of text as relevant as possible and include the keyword(s) that you want to be found for. This will make your content search-engine friendly and, as such, findable by users. Moz have an excellent article on how to properly structure your site to achieve onpage optimisation. It also contains some clear examples to illustrate keyword optimisation. As you’re now aware, each major search engine crawls sites using “spiders”. The easier these spiders can crawl your site and figure it out so to speak, the higher you’ll appear in the search results. This makes navigation another key element in your e-commerce SEO tactics. Despite this fact, fluid and logical site navigation is often unfortunately overlooked as playing a role in SEO, but it really makes sense that it would. Just as a search engine spider seeks to be able to easily move through your site and understand it, so do real-life human users. They expect to move from one section to the next with minimal effort, taking them on a journey that ultimately will lead to purchasing from your business. For this reason, a good site architecture hugely increases usability, and indeed user experience is certainly an area you should focus on when deciding on a layout. A good idea is to create an organic flow through your site. You can do this by using keywords generated from your keyword research to give users a “guided” experience. For example, if you’re a women’s apparel retailer you can have a main menu on your homepage with links to “Dresses”, and within that you can nest “Evening dresses”, “Summer dresses” and so on to guide users through your site. A logical layout like this ultimately moves customers through the funnel from prospects, to warm leads to making a sale by giving them the information they need without them having to actually go looking for it. Of course the layout of your site will largely depend on the type of e-commerce business you have, and personalisation is everything in the modern world of online retail. It’s why our bluCommerce platform is tailored with a business’ unique offer in mind to provide a unique experience for your customers. You’ve probably heard of backlinks before, and they may well still remain a mystery to you. In truth however, backlinks are created when external sources share links to your website, it’s as simple as that! For example, if you post your newest blog article in a Facebook update and your followers go on to share it, they have created backlinks that point to your site. Backlinks are truly SEO gold dust. 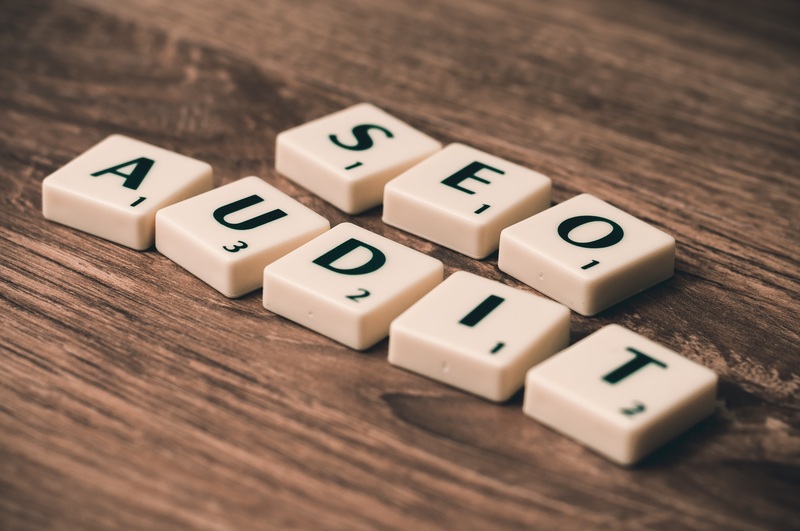 This is because the more backlinks you have pointing to your site, the more search engines view you as an authority in your field. It works like this because others have found your content useful and have vouched for it. This in turn boosts your site’s rankings. Now, different backlinks have different value in terms of authority. The best way to illustrate this is to imagine if a link to an article you had written was posted on a well-known, well-trusted website. Search engines recognise the authority of this website and place a higher value on the link they’ve shared, boosting the authority of your site as a result. Compare this to your friends on social media sharing links to your site. These shares will still generate authority but, unless they are industry influencers , not as much as in the previous example. Backlinks have to be earned and the easiest way to do this is to create high-quality content that people want to read and, more importantly here, to share. Remember that you too can benefit from backlinking to other high-authority sites in your content as this shows you are using well-sourced data in your content creation strategy. Read Moz’s quick guide on backlinks for more information. Of course you can apply these tips, but only with a proper SEO toolkit to help you. Otherwise, you’re really taking a short in the dark. Hootsuite for social media. This tool allows you to manage all your social media accounts in one, centralised location. You can schedule posts and track interaction with your followers at the click of a button. Google Analytics for a variety of insights. Arguably one of the best tools to measure user’s interaction with your site and inform your SEO strategy. It allows you to learn more about your audience and their preferences. Google Keyword planner. This is most likely a tool that many are familiar with. If you have an AdWords account the Planner allows you to conduct keyword research based on actual monthly searches of specific demographics. Remember to ignore the monthly search volume when you conduct your research though. This is only really useful for your paid ad campaigns. Yoast Google Suggest Expander. You know when you start typing something in Google and it makes suggestions for you? Those suggestions are the search queries it knows that people, i.e. your potential customers, are searching for. This tool lets you type in a keyword and shows you a list of possible expansions. A fantastic way to bulk out your keyword list. LSI keyword generator. LSI or long-tail keywords are essentially synonyms of your main keywords, other search queries that users will enter to find the same thing. As with the Yoast tool, this one lets you input a keyword and suggests associated LSI keywords to help you in your research. As you can see there are a number of fantastic tools out there to help you with your e-commerce SEO endeavours. The above are just a handful of suggestions. Many of them are free or available for a reasonable monthly cost. Rich content: as you know users love to interact with a variety of content, not just text. That’s why our platform has a rich variety of content for you to use including curated product templates, PDF and image downloads. Personalisation: remember what we said in our previous article about personalising your customer approach? Well not only is bluCommerce tailored to your business and its individual goals but we also offer features such as price management, which allows you to set customised pricing rule based on customer profiles. Mobile optimisation: you know the drill here: everyone is using mobile devices to browse the web, and major search engines will definitely favour you if you in turn favour mobile users with an optimised platform like bluCommerce. Having tried-and-tested e-commerce SEO strategies in place is vital in determining where your site appears in search engine rankings. In this article we’ve only scratched the surface with top points to consider if you’re new to the world of SEO. There are plenty of other aspects to look at. The main takeaway is: don’t leave your site’s ranking up to chance. Remember, a lot of work has gone into the sites that appear on the first page of the search results to get them there. Review the content of your website, ensure that nothing has stagnated and that everything is up-to date, readable and original. Make sure your meta tags and descriptions reflect what is on each page of your website (keywords, keywords, keywords!). Examine the layout of your site, is it easy to navigate? Put yourself in a user’s shoes and try to find an item by clicking through from the home page without using the search function. Is it an organic experience? There are many companies and agencies who will do an SEO “health check” for your website. This produces a report detailing several different aspects that determine your rankings. It may be a good place to start if you’re really unsure what to prioritise when optimising your site for search engines as it’ll give you an idea of areas where you could improve and how to go about doing so. Google release regular updates and keeping informed of these is key in adapting your strategies in the fast-paced world of SEO. Finally, don’t expect to see results from your efforts overnight. Optimising your site takes investments in both time and energy. It’s a long-term effort but trust us, by remaining dedicated you will reap the rewards!